If you’re looking to get a living donor liver transplant done, you’ll need to sign up and wait for the doctors to search for the right organ from a liver transplant donor. Recent studies in the field of medicine indicate that the number of people who have lost their lives waiting for a new liver has increased substantially in the past few years. There has also been a consequential rise in the waiting time for acquiring a deceased donor liver. This is why people are opting for living donor liver transplants these days. A living donor liver transplant has lesser risks when compared to deceased donor transplants, as the waiting time for a new liver is considerably reduced. There is no risk of complications that arise owing to delays as a result of mismatched blood group and tissue. The evaluation procedure is similar for both deceased donor liver and living donor liver transplant. If the condition affecting the liver is of a progressive nature leading to liver failure, then choosing a living donor liver transplant will be effective. The problem is not limited only to a particular country. Foreign nationals also have a particularly hard time in receiving a liver transplant in the United States, as there are only limited numbers of deceased donor livers. They will also face the problem of relocating from home for long periods of time, as they’ll have to stay abroad for close to two months during the post-op period. Living donor liver transplants are a more viable option even for foreigners seeking medical attention. In the United States, the number of people opting for living donor liver transplants has gone up from 50 in 1997 to more than 830, in a random sample of 1000 patients. Once you get an intimation regarding a living donor liver transplant, then the donors can start their process of evaluation with your registered coordinator. The coordinator will give both the donor and you complete details about the procedure and will perform tests to see if the procedure can be done. Once preliminary tests like blood type match are successfully completed, the coordinator takes on the responsibility of evaluating the donor. The living donor requirements will be evaluated before the surgery is finalized. The information about the donor, both personal and medical, is held safely and confidentiality laws apply to them as well. Every donor also has a donor advocate who helps the donor with the different concerns that he might have. These may include safety, informed consent and ensuring that the procedure takes place without any coercion. Transplant teams are generally helpful and do not mind spending time clarifying the various concerns that the family of either the donor or the recipient may have. The donor has to undergo surgery first. 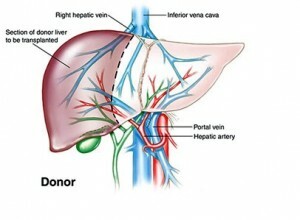 A split-liver technique is used to remove a part of the donor’s liver which is then prepared for transplant into the recipient. Another surgical team removes the recipient’s diseased liver which is then replaced by a part of the donor’s liver. Both livers regenerate according to their bodies in a couple of weeks. 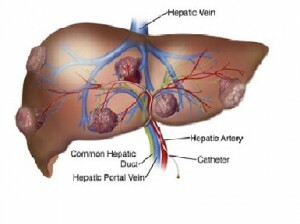 There are no long term complications for either part of the liver. In both cases the post operation and follow up procedures may take a couple of weeks and it is recommended that you take a month or two off work following the procedure to allow for post liver transplant care. There are a few risks and liver transplant complications involved with this procedure. As is the case with any major surgery, there is a possibility of blood clot formation in either the recipient or the donor. Studies in the field indicate that donors have shown a slight percentage of risk. The risk to the donor’s life can be as little as 0.3% and as high as 0.5%. Opting for a living donor liver transplant can be a good idea, given that the waiting period for a deceased donor liver transplant can be quite long and mentally and physically tiring. Consult your medical practitioner to learn more about the screening techniques. This entry was posted in Liver Transplant Surgery and tagged donor liver transplant procedure, identifying the right liver donor, liver donor requirements, liver donor risk, liver transplant donor, liver transplant screening, living donor liver transplant by Zipheal Editorial Staff. Bookmark the permalink.